Match ends, Houston Dash 2, Seattle Reign 3. Second Half ends, Houston Dash 2, Seattle Reign 3. Attempt missed. Carli Lloyd (Houston Dash) left footed shot from outside the box misses to the left. Attempt saved. Kealia Ohai (Houston Dash) right footed shot from the left side of the box is saved in the top centre of the goal. Assisted by Amber Brooks. Kim Little (Seattle Reign) wins a free kick on the right wing. Attempt blocked. Manon Melis (Seattle Reign) left footed shot from outside the box is blocked. Assisted by Kim Little. Attempt missed. Morgan Brian (Houston Dash) left footed shot from outside the box is too high. Substitution, Houston Dash. Amber Brooks replaces Rebecca Moros. Substitution, Seattle Reign. Lindsay Elston replaces Beverly Yanez. Corner, Houston Dash. 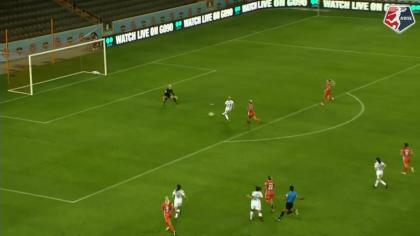 Conceded by Jessica Fishlock. Goal! Houston Dash 2, Seattle Reign 3. Beverly Yanez (Seattle Reign) right footed shot from the centre of the box to the bottom right corner. Assisted by Carson Pickett with a cross. Substitution, Houston Dash. Rachel Daly replaces Janine Beckie. Goal! Houston Dash 2, Seattle Reign 2. Kim Little (Seattle Reign) right footed shot from the left side of the box to the centre of the goal. Assisted by Jessica Fishlock. Substitution, Seattle Reign. Carson Pickett replaces Merritt Mathias. Offside, Seattle Reign. Manon Melis tries a through ball, but Merritt Mathias is caught offside. Offside, Seattle Reign. Nahomi Kawasumi tries a through ball, but Rumi Utsugi is caught offside. Offside, Seattle Reign. Beverly Yanez tries a through ball, but Merritt Mathias is caught offside. Attempt saved. Poliana (Houston Dash) left footed shot from the right side of the box is saved in the centre of the goal. Assisted by Andressinha. Attempt blocked. Kealia Ohai (Houston Dash) left footed shot from outside the box is blocked. Assisted by Andressinha. Poliana (Houston Dash) wins a free kick in the defensive half. Goal! Houston Dash 2, Seattle Reign 1. Manon Melis (Seattle Reign) right footed shot from outside the box to the bottom left corner. Assisted by Jessica Fishlock. Attempt blocked. Kealia Ohai (Houston Dash) right footed shot from the left side of the box is blocked. Assisted by Carli Lloyd. Attempt blocked. Janine Beckie (Houston Dash) right footed shot from the right side of the box is blocked. Assisted by Carli Lloyd. Attempt missed. Carli Lloyd (Houston Dash) left footed shot from the centre of the box is too high. 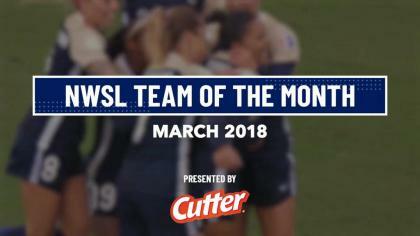 Assisted by Kealia Ohai. Attempt missed. Denise O'Sullivan (Houston Dash) right footed shot from outside the box is close, but misses to the left. Second Half begins Houston Dash 2, Seattle Reign 0. First Half ends, Houston Dash 2, Seattle Reign 0. Attempt blocked. Jessica Fishlock (Seattle Reign) right footed shot from outside the box is blocked. Assisted by Kim Little. Attempt blocked. Beverly Yanez (Seattle Reign) left footed shot from the right side of the box is blocked. Assisted by Kim Little. Goal! Houston Dash 2, Seattle Reign 0. Carli Lloyd (Houston Dash) left footed shot from the centre of the box to the top left corner. Assisted by Denise O'Sullivan. Goal! Houston Dash 1, Seattle Reign 0. Kealia Ohai (Houston Dash) left footed shot from a difficult angle and long range on the left to the top right corner. Assisted by Denise O'Sullivan. Attempt blocked. Denise O'Sullivan (Houston Dash) right footed shot from the centre of the box is blocked. Assisted by Janine Beckie. Corner, Houston Dash. Conceded by Merritt Mathias. Attempt saved. Manon Melis (Seattle Reign) left footed shot from the centre of the box is saved in the bottom right corner. Assisted by Kim Little. Attempt missed. Janine Beckie (Houston Dash) right footed shot from outside the box misses to the left. Attempt saved. Morgan Brian (Houston Dash) right footed shot from outside the box is saved in the centre of the goal. Attempt saved. Denise O'Sullivan (Houston Dash) right footed shot from the centre of the box is saved in the bottom left corner. Attempt saved. Manon Melis (Seattle Reign) left footed shot from the right side of the box is saved in the bottom right corner. Assisted by Megan Rapinoe with a cross. Attempt saved. Megan Rapinoe (Seattle Reign) right footed shot from outside the box is saved in the bottom left corner. Assisted by Rumi Utsugi. Attempt missed. Carli Lloyd (Houston Dash) right footed shot from outside the box misses to the right from a direct free kick. Kealia Ohai (Houston Dash) wins a free kick in the attacking half. Attempt missed. Kim Little (Seattle Reign) left footed shot from outside the box is high and wide to the left. Assisted by Beverly Yanez. Attempt missed. Andressinha (Houston Dash) right footed shot from outside the box is high and wide to the right. Attempt missed. Manon Melis (Seattle Reign) header from the centre of the box misses to the left. Assisted by Beverly Yanez with a cross. Attempt saved. Manon Melis (Seattle Reign) left footed shot from outside the box is saved in the bottom left corner. Assisted by Kim Little.